A first impression is everything. And as long as you have a grasp on things, you’re going to do just fine. Now, grab the handle and let’s go! Wait, did you think we were giving life advice here? It’s a great motto to live by, but we’re actually referring to physical handles. The key to creating a great first impression with a handle is to mix quality, style, performance and attention to detail in equal measure. For a foundry, this means having the casting capabilities to mold a customized manufactured part with distinctive features. Handles have the power to add a certain wow factor to almost any object and users will know the quality of the material from the moment it’s touched. But most importantly, a handle should stand the test of time and enable a user to maximum the tool, machine or equipment they’re operating with complete strength and comfort. Zinc-aluminum (ZA-12) casting alloys are key to molding a superior handle. ZA-12 has become the preferred alloy over such materials as aluminum, brass and cast iron. Why? When you couple ZA-12 with graphite permanent molding, you make for precision cast tolerances, short lead times, excellent detail and superior finish. The process begins with the pouring of molten metal into graphite permanent mold. The parts are ejected from the semi-automatic machines for manual trimming. Then, samples are inspected for validation before rapid production. This means you can get the handle you need in a timely manner at a fraction of the cost of other manufacturing processes. 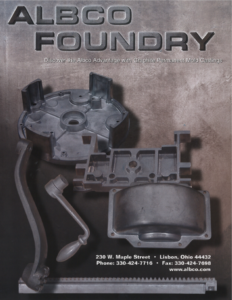 For example, Albco Foundry & Machine can tool up a permanent mold at a cost between $1,500 and $4,500. 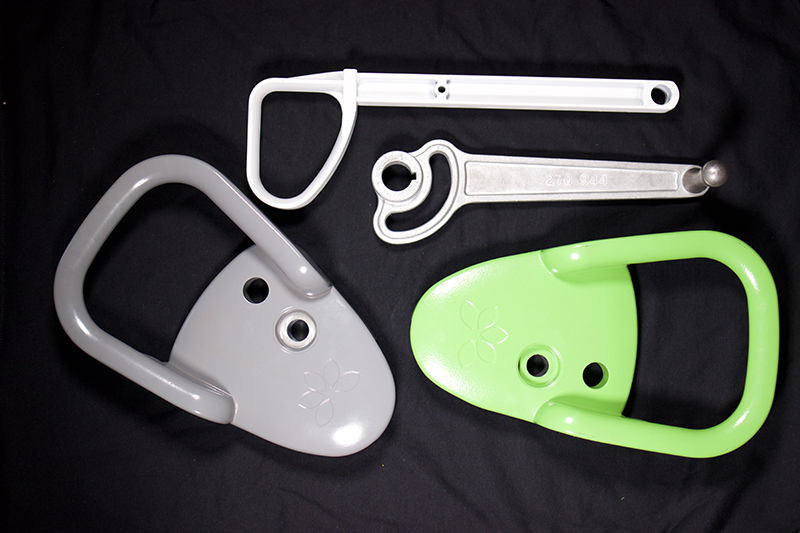 In addition, Albco Foundry provides casting in steel shafts and custom powder coating supplied to the specifics of your handle request. Whether you need a handle for lawn and garden equipment, gun safes, automated teller machines (ATMs), commercial refrigerators or hospital beds, Albco Foundry’s flexible process can handle your design and create a customized solution. Call or email us today to learn more!